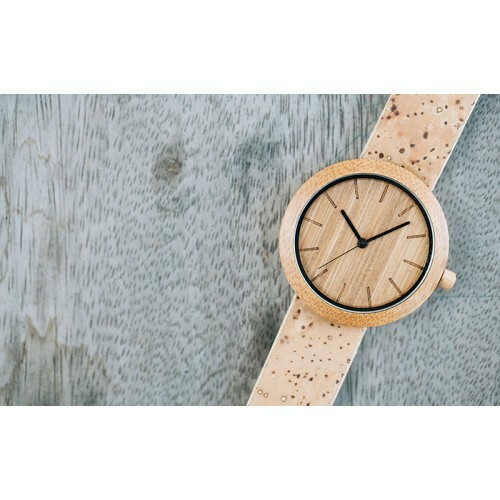 The Naturalist watch has a premium minimalist design combined with sustainable elements. 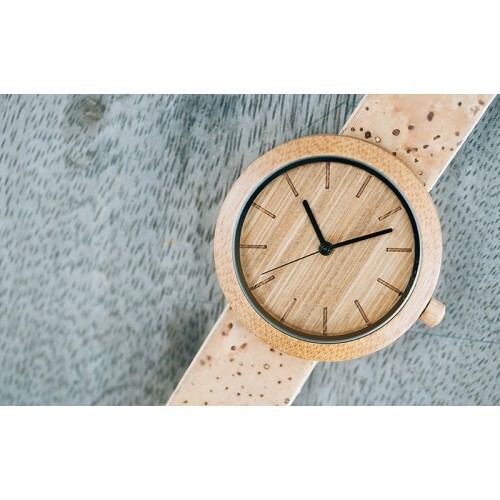 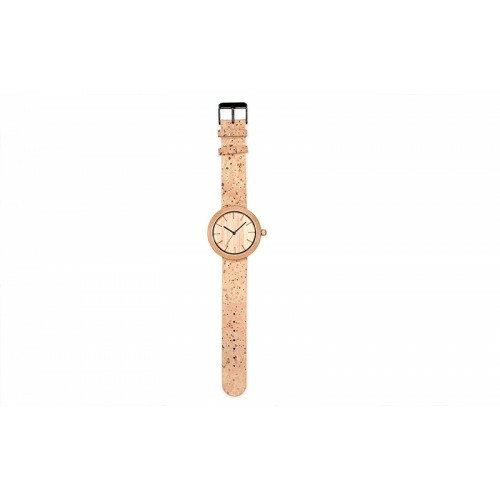 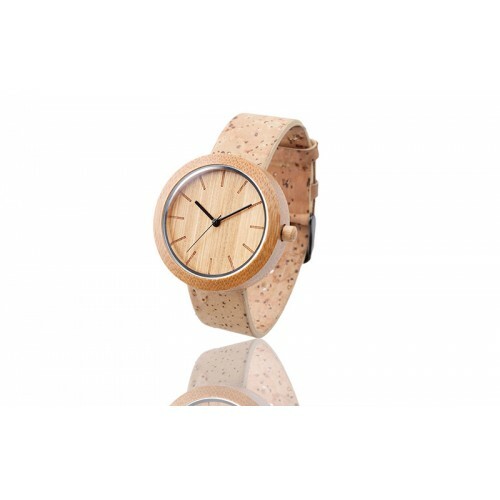 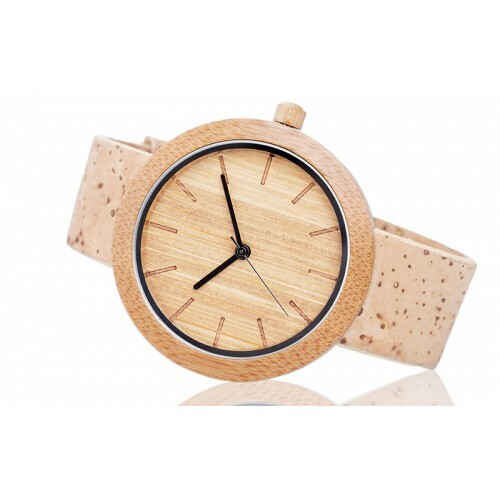 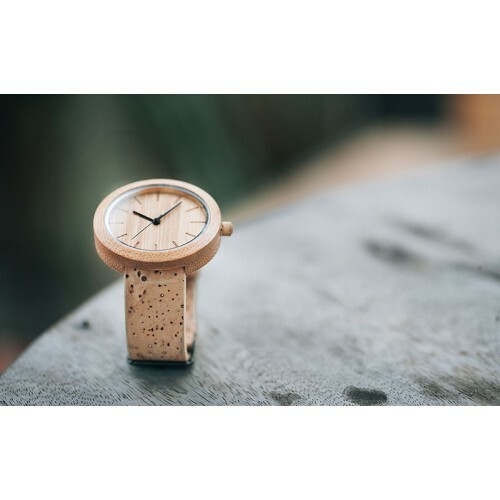 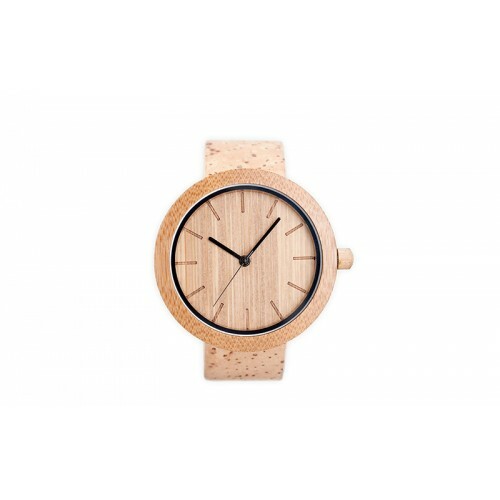 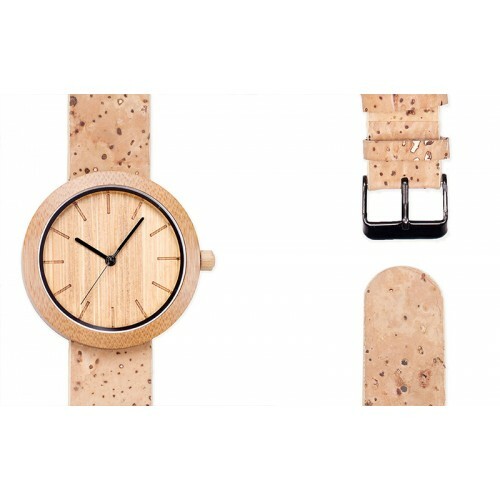 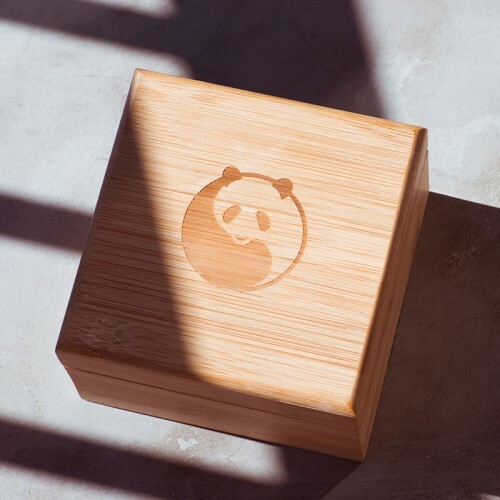 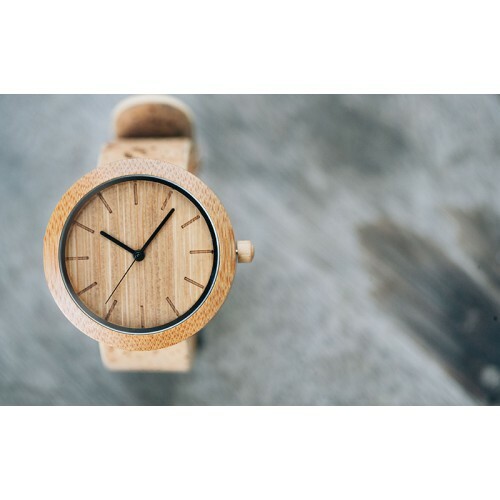 It is handcrafted by blending natural materials like Bamboo and Portuguese cork with a Swiss Movement internal mechanism, creating a timepiece of exceptional quality and design. 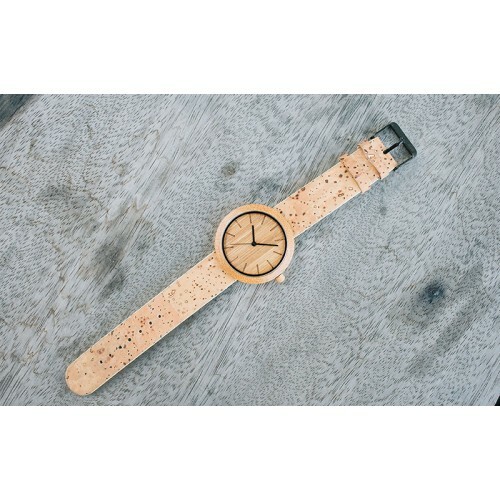 Handcrafted from environmentally friendly bamboo, Portuguese cork and vegan leather. 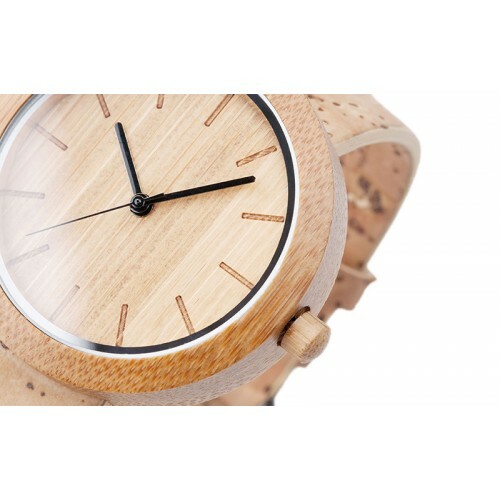 42mm wide and 9mm thick, hardened mineral crystal. 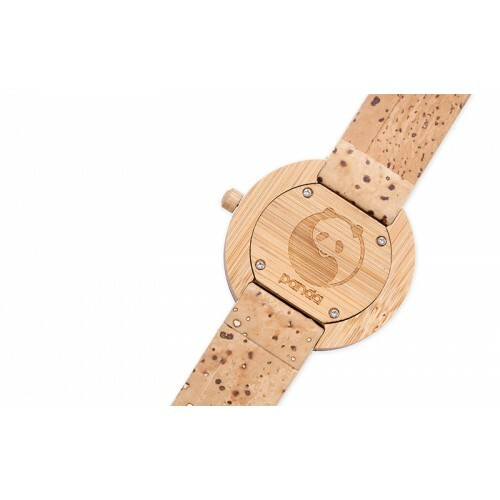 Water resistant up to 3ATM but we do not recommend you to swim and bathe in this watch.